We provide safe, comfortable and affordable accommodation for 60 men on low incomes. With your support we can continue to enhance our offer and do more to assist in this ever increasing area of need. Carrington Cottages Limited is a registered not-for-profit association that provides boarding house accommodation for men who are transitioning from homelessness to independent living. 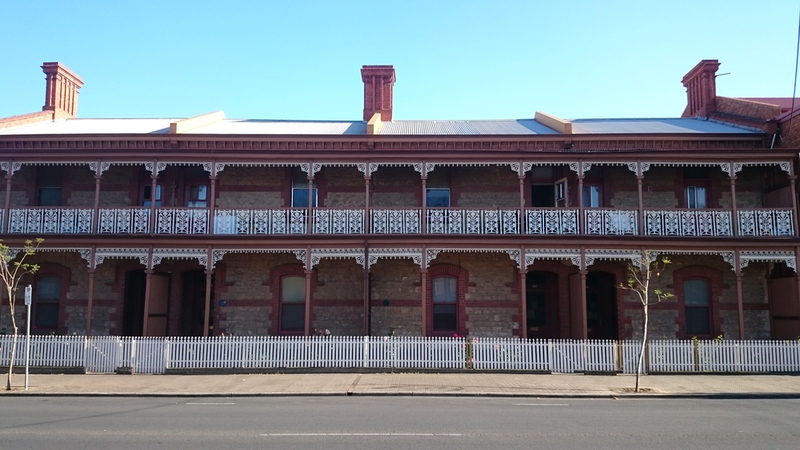 Located in two, recently renovated, nineteenth century terrace houses in Carrington Street Adelaide, Carrington Cottages has sixty single bedrooms, with tenants sharing kitchens, bathrooms and backyard recreation areas. We aim to provide a supportive environment for men who have been homeless to rebuild their skills, confidence and motivation to move on to independent living. Carrington Cottages receives no direct government funding; we use the rent paid by our tenants to run the boarding house. The SA Government indirectly supports our organisation by leasing the two buildings to us at an affordable rent. The Commonwealth Government pays our tenants on pensions a rental subsidy that enables us to keep the rent we charge at a reasonable level. Please look around our web site. We are always looking for friends to work with us in supporting homeless men in Adelaide. If you would like to help, please send me an email. Carrington Cottages aims to counter this situation by providing a transitional moment in which men can escape from the cycle of homelessness by providing a safe and secure environment from which they can launch into more permanent housing. The 2016 Census data on Homelessness was released 14 March 2018. The Australian Bureau of Statistics continues to use a broad definition of “homelessness” – much more than “rooflessness”. The number of homeless people in boarding houses in Australia is increasing. With regard to boarding houses, the ABS Census 2016 data analysis shows that men are almost three-quarters of all boarding house tenants, and that almost half the total boarding house population is over 45 years of age. The majority of the homeless boarding house population is male (73%). They are also older than the rest of the homeless population with 45% of the boarding house homeless population aged 45 years and over, compared to 25% of the total homeless population being in that age bracket. Older Australians (aged 55 years and over) made up 16% (18,625 persons) of the total homeless population in 2016… For older persons, most are in boarding houses (27%), followed by staying temporarily in other households (24%). Males accounted for 63% of older Australians who were homeless on Census night in 2016, increasing by 26% (or 2,407 persons) to 11,757 in 2016. The number of homeless older Australian females increased by 31% to 6,866 in 2016, up from 5,234 persons in 2011. Carrington Cottages focus is on providing immediate accommodation for men who, in our experience, reflect these statistics. The Australian Bureau of Statistics uses the Chamberlain and MacKenzie (2008) model of homelessness that makes Carrington Cottages Management Incorporated’s role in reducing homelessness clear. Carrington Cottages Limited ensures the availability of more rooms designed to increase Tertiary homeless, reducing the number of actively homeless, whilst reducing significantly the numbers returning to the influx of the active homeless from the permanent housing sector. We are excited to be at the end of our renovations which, whilst providing an increase in capacity also, most importantly, provides totally refurbished rooms for our men in addition to new kitchens. This extensive work has increased our single bedroom accommodation to 60 from the previous 50, a 20% increase. The commencement of our, much needed renovation project, allows us to now have a heightened focus on our plans for the immediate future. Critical to this , in terms of need and also as it is an important transition from our initial model of care, are our plans to accommodate women and couples in the very near future. We are working diligently behind the scenes to ensure we can close the gap in providing accommodation to this ever increasing demographic which remain very much in need within our community, of being afforded a home. We continue to negotiate with the SA Government for leases over additional properties that would make acceptable boarding houses as the need for our services continues to increase. We anticipate that our pursuits will bear fruit in 2019. Our approach to the Government is to locate disused accommodation, within or close to the CBD. Provided the Government is prepared to offer a reasonable lease , price and duration, we can show a win-win-win bottom line: empty Government property put to good use; a reasonable income to the Government; and a further group of previously homeless, are provided with reasonable short- to medium-term accommodation supervised by Carrington Cottages. We are engaged within the community to ensure our residents have the very best support. Street to Home ~ is a housing-first approach supporting people sleeping rough in the Adelaide CBD to find and maintain sustainable housing. Banner 10 Pty. Ltd. has generously supported our efforts to create further common areas for group events whilst providing landscaping and valuable shaded and weather proof areas for our residents. OPSM Salisbury generously provided many of our residents with free glasses enabling them to see clearly for the first time in years. Wise Employment provide valuable work opportunities and resilience training. 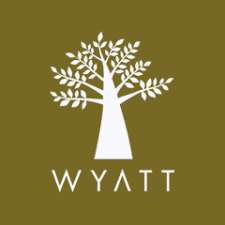 Wyatt Trust provide valuable resources to our men who are ready to move out and set up a new home independently. We are enormously grateful to our sponsors, who assist us in providing accomodation that feels like 'home'. Joint Hair have kindly donated their time and expertise to provide two Manscaping days for Carrington Cottage residents. The inaugural event commenced with hair cuts, beard trims and friendly banter and was followed by lunch which consisted of healthy burgers generously donated by Grill'd of Norwood. A second sitting was in demand and as such Monday mid November the generous Joint Hairdressers volunteered their services again for a morning of barber shop activities. The men were treated to cuts, shaves and styling before enjoying a lunch of Sicilian Style Grandma pizzas donated by Bianca. We are very grateful to our sponsors for helping putting that extra smile on the face of our residents. We need your support – now more than ever! Homelessness in Adelaide is an ongoing concern. Homelessness Australia estimates that around 6000 South Australians are homeless, about two-thirds of these being men. © Carrington Cottages Management Incorporated 2016. Design & Development by Somewhere Co.